The adage “You are what you eat” is certainly true when it comes to your teeth. Your teeth are on the front lines when it comes to eating and digesting and often take the hardest hits from damaging foods and drinks. So, how can you decipher which are the best and worst foods for your dental health? Here are some foods that could be hurting your teeth (they may surprise you!) as well as some of the foods you can eat to keep your pearly whites their healthiest. 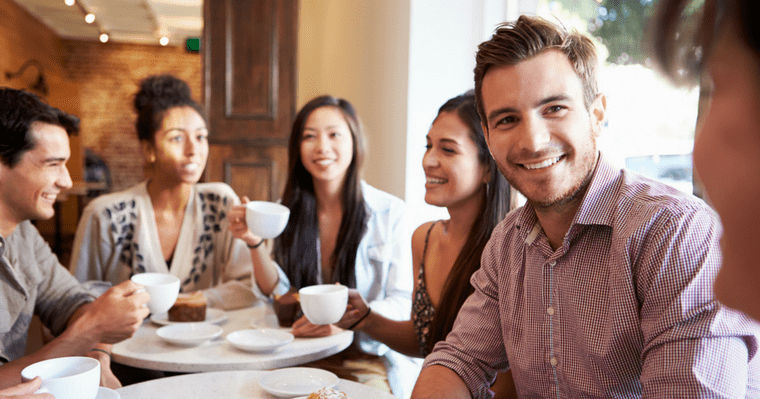 Coffee and tea – Just looking at the brown stains inside your favorite coffee mug should warn you about the discoloration coffee can cause to your teeth. Coffee stains are especially stubborn and often won’t disappear with just regular tooth brushing. But the real danger to your teeth is that these stains are sticky and attract food particles and bacteria. Some black teas produce even stronger stains than coffee. Their high tannin content is the culprit. Suggestion: Teas that have fewer tannins, such as green or herbal teas, won’t stain as badly and are a better choice. Sticky foods – It isn’t hard to understand the damage that sticky candies like caramels can do to your tooth enamel. The sticky residue they leave behind on and in between your teeth hangs around for hours, allowing bacteria to have a feeding frenzy. The bacteria convert the sugar to acid, which has plenty of time to do some serious damage to your enamel. But you may not have known that this same damage can come from foods you may think of as healthy, such as dried fruits. Suggestion: Whenever you eat any sticky food, make sure to rinse your mouth with water afterward and carefully brush and floss. Soft drinks – Alright, no surprise here. We all know that soft drinks are loaded with sugar, and sugar-coated teeth are a breeding ground for the bacteria that causes cavities. But what you may not know is that carbonated beverages, even those without sugar, have acids that can harm your teeth. 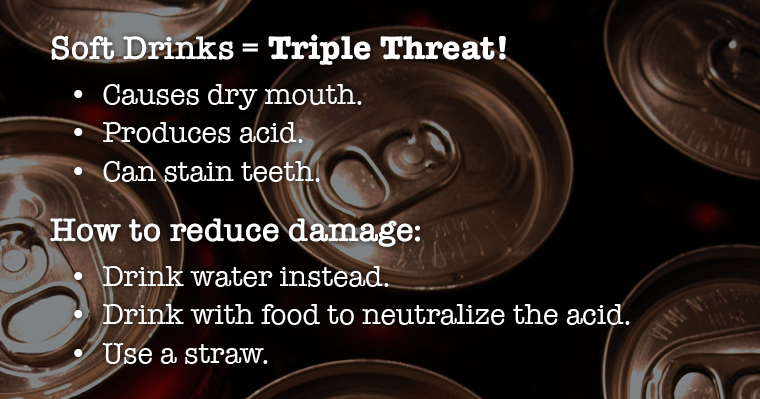 Popular diet drinks contain citric and phosphoric acid which can erode enamel. Many sports or energy drinks cause the same damaging effects. Suggestion: If you can’t give up your favorite soda, then try to drink it only when you are eating a meal, which will help to neutralize the acid. Crackers – Here’s a food you may not have thought of as an enemy to your teeth. The refined carbohydrates found in most crackers not only convert to sugar in your blood stream, but also in your mouth. Suggestion: You don’t have to give up having oyster crackers along with your favorite clam chowder, as long as you eat a moderate amount and do a thorough job of brushing and flossing. So what foods are actually good for your teeth? Generally, the same foods that are good for your body are good for your teeth. Water – Water acts as a natural mouthwash, removing sugar and acids from your teeth. Also, fluoride, which is found in most water supplies, helps protect your teeth. This naturally occurring mineral hardens the enamel of your teeth, making it more difficult for cavity-causing bacteria to do its dirty work. Suggestion: Try to drink eight 8 ounce glasses of water each day to keep your body hydrated and your teeth healthy. High-fiber foods – Eating leafy vegetables makes your teeth work in a good way. The chewing action scrubs your teeth and stimulates bacteria-fighting saliva. 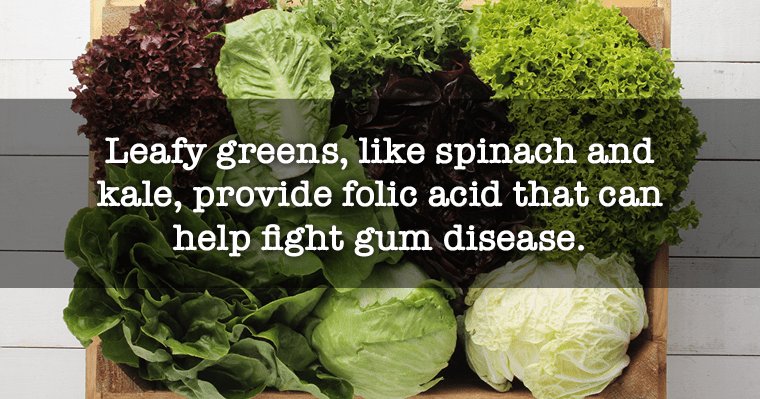 They also contain folic acid, which can help in fighting gum disease in pregnant women. Suggestion: Next time you are whipping up a salad, add some fresh baby spinach or kale. Or, try adding these to your favorite fruit smoothie. Crunchy fruits and veggies – Yes, many fruits have sugar in them, but they also have fiber and water. And the very act of eating crunchy fruits and vegetables cleans the teeth and stimulates the gums. Eating these natural tooth scrubbers between the times you regularly brush and floss will keep your teeth free of bacteria build-up. Suggestion: Take some apple slices or baby carrots along in your lunch to eat at the end of your meal. Were you surprised by any of the best and worst foods for your teeth? Many people are. They may be causing significant damage to their teeth and not even know it. Excellent dental hygiene practices and keeping regular dental check-ups can help you minimize the damaging effects caused by acidic, sticky, and staining foods. And by adding more water, leafy greens, and crunchy fruits and veggies to your daily diet, you can improve the health of both your teeth and your body. The content on this blog, including the list of best and worst foods for your teeth, is not intended to be a substitute for professional medical advice, diagnosis, or treatment. Always seek the advice of qualified health providers with questions you may have regarding medical conditions.